Jemar and Octavia Raheem - Healing Love 2018. Now that Baba Asa has cleared the way, it's time for you to meet other WHB Black Love Honorees for 2018. Over the next few days please join us in celebrating Black Love by commenting, sharing, testifying, and ultimately joining us on Feb.10th if you can. "Women, we know when we are being watched. I knew he was watching. So, I turned and made my way from his feet to his eyes. They were waiting to meet mine. He wasn’t looking below my neck, around me, or behind me as an object. He was looking at me - for real. Looking into his eyes and feeling his spirit, I knew that he was 'my people,' that we were kindred spirits. "Octavia was always strikingly sharp and brown! I discovered that I found a peer that was willing to engage in the work and who loved being a Black the way I did. She brought a learned Black American woman's perspective. We were aligned. There was true synchronization of Black identity, politics, and community." So starts the friendship, the love affair, and the family affair of Jemar and Octavia Raheem. 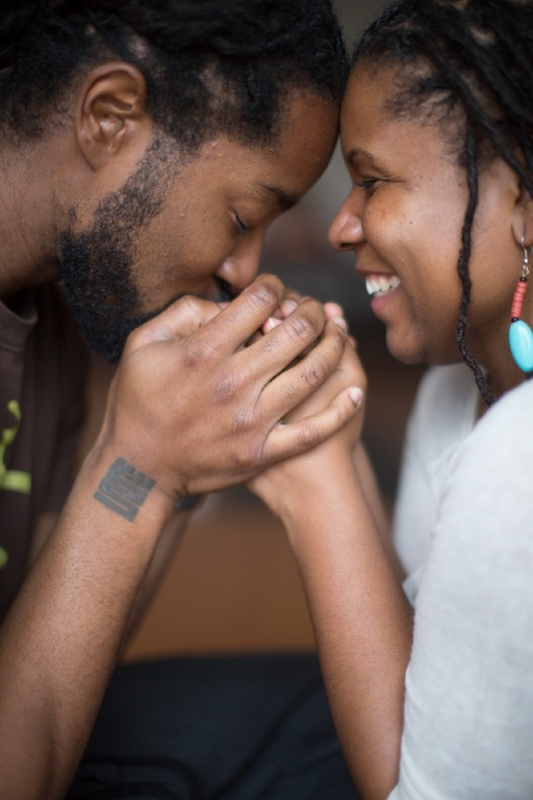 Their love has been a healing love for themselves and for our community. So, it is with great pleasure that I announce them as recipients of the 2018 WHB Healing Love Award. The words above are just the beginning of a great love story that you’ll hear and read more about at our 6th annual Black Love Dinner celebration on Saturday, Feb. 10th 7 pm. Couples and singles join us as we lift them up and 360 degrees of Black love - Revolutionary Love, Healing Love, Building Love. Octavia is the owner of the CHILLshop where she holds public and private yoga classes. She also teaches meditative silent healing Yoga. One sister came expecting a workout. As some point, she was just crying... "I didn't know that I was so tired and the only thing you asked me to do is to rest!" She ended by saying "thank you for doing your work, so I have a place to do my work so I can heal"
Donate tickets for our college-age youth couples. Not in Atlanta? You can still support our efforts to redefine Black romantic love in the minds of our youth by donating tickets for Black Youth. Lecturing won't do, but celebrating and awarding actual people who are exemplary of Warrior-Healer-Builder love will sink in. It's what Baffour would call "resocialization." Our goal is for twenty college-aged youth to attend and experience revolutionary Warrior-Healer Builder love.